Devin Smith is the Operations Manager at Second Nature. Based in Boston, she focuses on the development and implementation of efficient systems, processes and policies for in-office and remote staff that supports strategic direction and expansion of programs, workflow, inclusion and collaboration. Prior to joining Second Nature, Devin served as an Americorps Ambassador of Mentoring at Boston Partners in Education and Science Club for Girls, and later a supervisor at Germaine Lawrence engaging youth in various community service and educational projects to explore media literacy, positive body image, STEM education, issues of gender, race/ethnicity and sexuality, and college preparation. She believes that youth can make meaningful and positive change in their communities when they are empowered with the skills and confidence to think critically and engage with others about complex social problems. Devin earned her B.A. in Global Studies from Lesley University, focusing on the impact globalization has had on the environment, human rights, labor and feminist movements. While pursuing her undergraduate degree, she completed internships with the Massachusetts National Organization for Women and the Harvard College Women’s Center, where she organized events to raise awareness about women’s health policy, campus resources for assault survivors, trans rights, and homelessness. She is currently pursuing a master’s degree in public policy at Tufts University, where her primary policy interests are related to sustainable and just economic development, the creation and activation of networks to enact social change, climate change policy and non-profit governance. 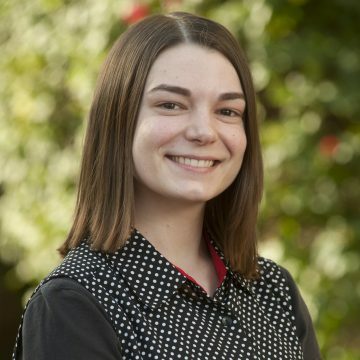 Devin believes sustainability and climate action should be rooted in a commitment to equity and social justice and is excited to be working at Second Nature with a team that is as passionate about this as she is.